I have been looking into the techniques and specs involved with replacing and clearancing rotor apex, side, and corner seals. 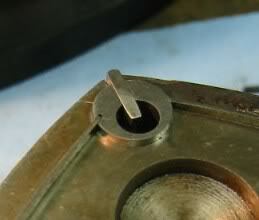 In the thread surfing I have come across a few photos, where the corner seals have a groove cut into them which essentially extends the side seal groove into the corner seal itself. I have searched both on the forum, and on google, I've read multiple threads on corner and side seals bit have not been able to find anything that explains the reasons, efficiency, reliability or the pros and cons of making this modification. It would be appreciated if someone could give a thorough explanation as to why this is done, and what the positive and negative effects of such a modification. If this information is already in a thread somewhere I apologize for creating this thread and would greatly appreciate being redirected to the existing thread. Thank you everyone for your input. You're talking about zero clearance side seals yes? 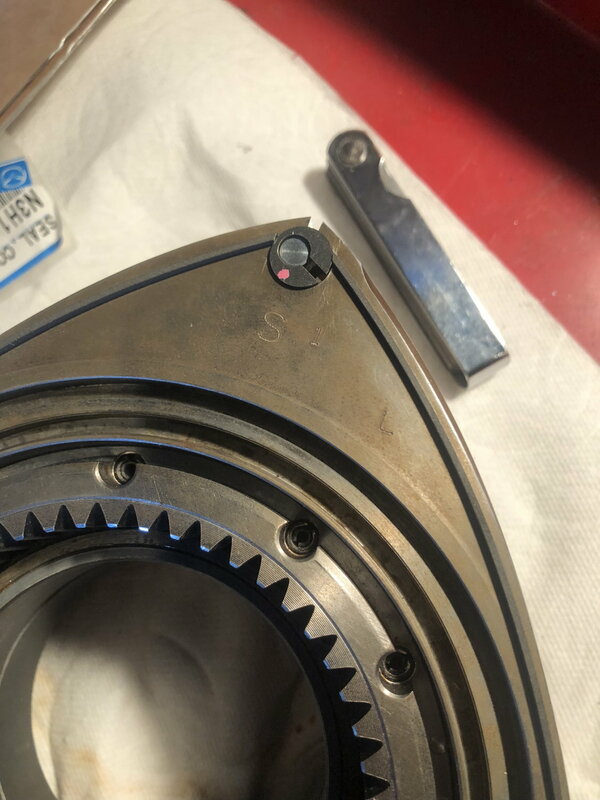 I don't know if anyone has done this with the renny because mazda changed the side seals to have a tapered end( hence the stamp on the rotor) that would be odd to cut a slit in the corner seals. Yes that's exactly what I was talking about, thank you. In regards to heat expansion wouldn't you be able to shave down the side seals to accommodate for the thermal expansion? What would be the negative effects of the limited blow-by? The only reason this design appeals to me (correct me if im wrong) is in my mind because you have the additional length to the side seal you should theoretically achieve a longer period of time before to side to side wear of the side seals reached its maximum clearance tolerance which in turn would lengthen the interval of time between rebuilds. Yes that's exactly what I was talking about, thank you. In regards to heat expansion wouldn't you be able to shave down the side seals to accommodate for the thermal expansion? That's how you rebuild them, that's the tolerance I was talking about. Also any and all gaps pressure will find a way through it. 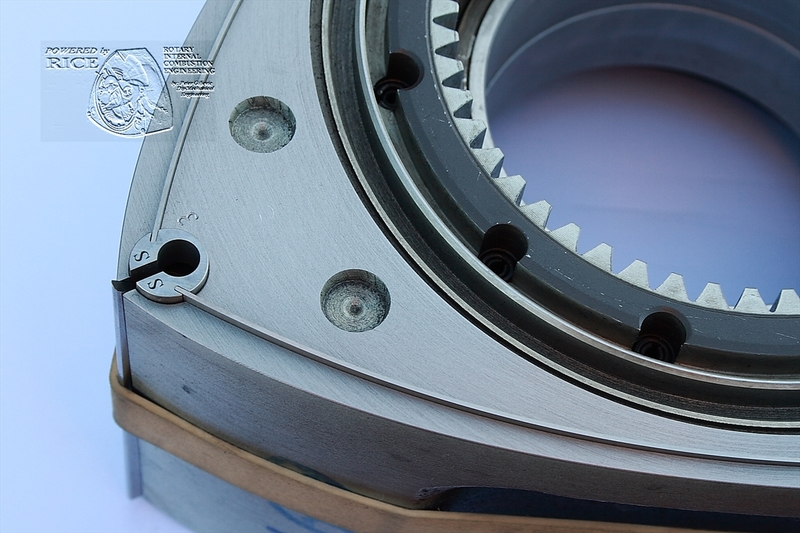 The seals also move around(side to side) at higher rpm. What would be the negative effects of the limited blow-by? The only reason this design appeals to me (correct me if im wrong) is in my mind because you have the additional length to the side seal you should theoretically achieve a longer period of time before to side to side wear of the side seals reached its maximum clearance tolerance which in turn would lengthen the interval of time between rebuilds. side seals rarely fail or cause engine failure but when the do it's due to carbon build up or improper build/port work. Last edited by sonicsdaman; 01-16-2019 at 02:58 PM. The side to side movement at higher rpm is the cause of wear on the side seals where it contacts the corner seal, my thoughts were if you cut into the corner seal just like in those zero clearance photos you showed in the previous post, you would effectively be lengthening the side seals. Would this not increase the length of time it takes for the side to side wear to wear down to the point where these is gap between the side seal and the edge of the corner seal? And what do you mean no spring in the side seal like the older engines, I have no experience with the older engines but the shop manual for the renny seems to indicate that we have side seal springs? Or is it just that the older side seals as the spring attached to the seal itself? derp you're right I'm thinking of something else sorry yes side seals do have a spring. So then the pros of this design would be increased side seal life, at least in side to side wear. I would also suspect that it would be beneficial on turbo applications as you can increase the side to side clearance for the addition thermal expansion that will result from the turbocharging but still retain a nice side to corner seal with limited blow-by. My only concern with this design is I worry it may make the corner seals a weak point (from what I've read the 2 piece corner seals are already fragile) so maybe a solid corner seal would be the safer of the 2 to pair with that kind of design. How do you bleed the clutch?